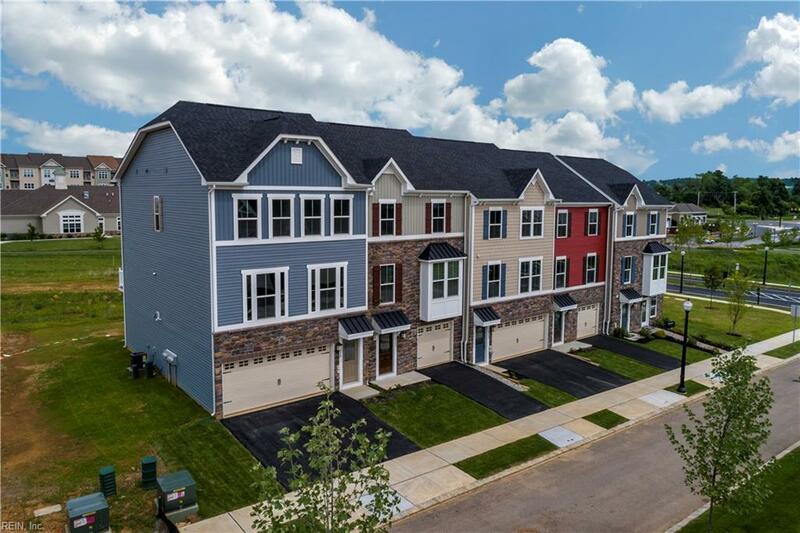 926 Parley Pl, Chesapeake, VA 23323 (#10220518) :: Abbitt Realty Co.
MOVE IN APRIL 2019 JUST IN TIME TO ENJOY THE AMENITIES (NOW UNDER CONSTRUCTION)! Welcome to the Mendelssohn, where the convenience of townhome living meets the amenities of a single family home. Lower level features a 2-car garage & massive recreation room with access to private back yard - fence it in for more privacy! On the main living level an enormous Kitchen, granite included, with island opens onto a bright/airy Living Room, featuring a conveniently placed powder room. Upgraded LVP plank flooring throughout main level. 8x18' Trex deck off kitchen. Upstairs are 3 spacious bedrooms with ample closet space, a hall bath & convenient laundry room. The Owners Bedroom features a tray ceiling & WIC. A separate Owners Bath features a dual vanity & oversized shower with seat. No flood insurance required. Grassfields lowest priced new home community featuring resort style amenities. Water views, a private marina club, pool, clubhouse, docks, boat tie-off, and beach access.